The fifth metatarsal of Alan Sadler's left foot had been broken four times since the past season, The Palm Beach Post wrote. There were the two times he broke it playing basketball, the one time running and the fourth time just walking on a golf course. But he was still being looked at to start -- as the punter on the football team. "The only way he can break it again," University of Maryland trainer J.J. Bush told The Post in September 1982, "is to break the stainless steel screw Dr. (Stanford) Lavine put in recently. If it's not one thing it's another with this guy." And, if it wasn't football with Sadler, it was baseball. Sadler also pitched on the University of Maryland baseball team, finally choosing baseball as his full-time sport, turning pro and starting eight seasons as a professional. He just wouldn't start, or do anything else, in the majors. Sadler started his pro career in 1984, selected by the Brewers in the 11th round. He signed with Milwaukee, giving up his final year of eligibility at Maryland, The Baltimore Sun wrote. Sadler spent his first year at rookie-league Paintsville. He hit single-A Beloit in 1985 then single-A Stockton and AA El Paso in 1986. He didn't first make AAA until 1989 with Denver. But he also got into his share of injuries as a pitcher, according to The Milwaukee Sentinel. He pitched in just 14 games in 1987 and another 14 in 1988. 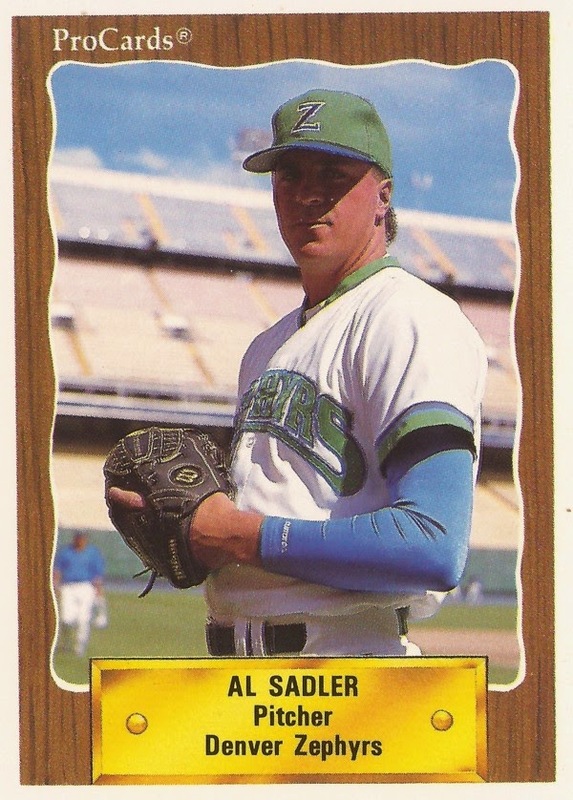 At AAA Denver in 1989, Sadler was 8-10 with a 4.25 ERA. In a May game, Sadler threw 7.2 innings, striking out six in a 4-1 Denver win. By August, Brewers manager Tom Trebelhorn threw Sadler's name, among others, as a possible September call-up. But Sadler wasn't called up. Still, in November 1989, Sadler was placed on the Brewers 40-man roster. "The injuries have held him back, but we still feel he has a good enough arm and stuff to pitch in the major leagues," Brewers assistant GM Bruce Manno told The Sentinel. "He could be a late bloomer." Invited to spring training for 1990, Sadler found himself sent back down to Denver before the spring was out. At Denver in 1990, Sadler pitched in just 12 games with an ERA of 5.50. Contributing to his sparse year were more arm problems, The Milwaukee Journal wrote. Sadler continued rehabbing into 1991, returning to Denver. But he got into just two more games and 5.1 innings. He gave up seven earned runs. His career ended short of the majors.